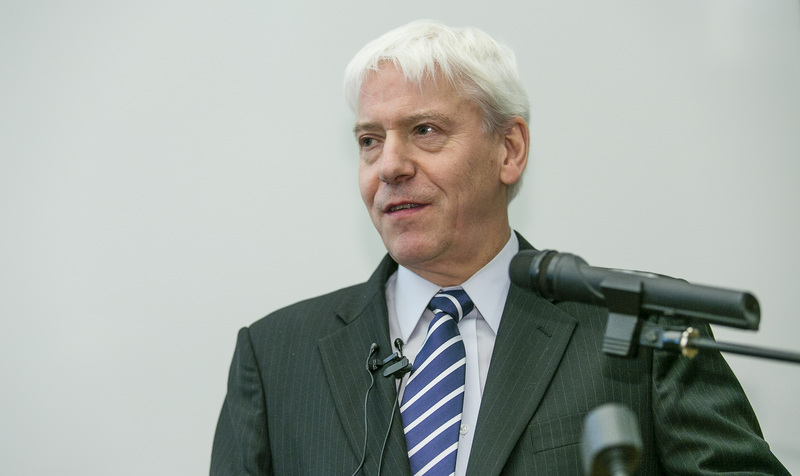 Professors Ragnar Arnason and Hannes H. Gissurarson, both members of the RNH Academic Council, read papers at the annual conference on new research in the social sciences, “The Mirror of the Nation,” organised by the Social Science Research Institute at the University of Iceland Friday 30 October 2015. Their papers are given at the same time, 11–12.45, in two seminars, Arnason’s paper in Room 207 in the University Main Building, Gissurarson’s paper in Room 102 in Logberg, the Law Faculty House. Arnason’s paper is titled “An efficient and sustainable debt situation”. The abstract is as follows: Iceland’s foreign debt situation is problematic. Probably total debt is far beyond what is most efficient from a macroeconomic point of view. However, it cannot be reduced without a corresponding reduction of GDP available for consumption and investment. Lesser consumption implies lower living standards. Lesser investment implies less capacity to produce goods and thus to maintain future living standards. Lower living standards however encourage people to leave, especially people with marketable skills. Thus the nation’s human capital will be eroded which, in turn, will lessen its capacity to continue to reduce debt and to maintain adequate living standards. Obviously, it is therefore important to find out how much foreign debt is sustainable in the sense that it does not bring about an economic crisis. This is what this paper is about. Economic analysis is used to elucidate the most important factors of the situation and their connection. The optimal and the sustainable foreign debt situations are deduced, while the most efficient debt reduction process is described and a criterion offered for that debt reduction which would be required for transforming an unsustainable situation into a sustainable one. Gissurarson’s paper is titled “Proposals to Sell, Annex or Evacuate Iceland, 1518–1868”. The abstract is as follows: Iceland, a remote country with a harsh climate, and a Norwegian-Danish dependency since 1262, was not much coveted by European powers, despite her fertile fishing grounds, technologically accessible since the early 15th Century. In 1518 and 1524, Danish King Christian I unsuccessfully tried to pledge Iceland against a loan from English King Henry VIII. In 1535, King Christian III also tried to do this, but again Henry VIII turned down the request. In 1645, King Christian IV tried to pledge Iceland against a loan from Hanseatic merchants, but yet again, there was not sufficient interest. Indeed, so harsh seemed Iceland’s climate that in 1784–5, after a massive volcanic eruption and an earthquake, it was seriously contemplated in Copenhagen to evacuate the Icelandic population to other parts of the Danish realm. However, during the Napoleonic Wars the British government briefly considered annexing Iceland. Sir Joseph Banks, who had toured Iceland, wrote three reports, in 1801, 1807 and 1813, recommending this. Ultimately, the British government decided against it: Iceland was not sufficiently attractive. In 1868, a report was written at the initiative of the U.S. Secretary of State William H. Seward on a possible purchase of Iceland, but the idea was so ill-received that Secretary Seward made no further move. The conclusion is that Iceland was a marginal society until it became, in the 20th century, strategically important, enjoying the military and political protection of the U.S. from 1941 to 2006. After that, Iceland became marginal again and thus expendable. The lectures by Professors Arnason and Gissurarson form a part of the joint project of RNH and AECR, the Alliance of European Conservatives and Reformists, on “Europe, Iceland and the Future of Capitalism”.